What is Web API? When should we use in our projects? How to create a ASP.Net Web API ? 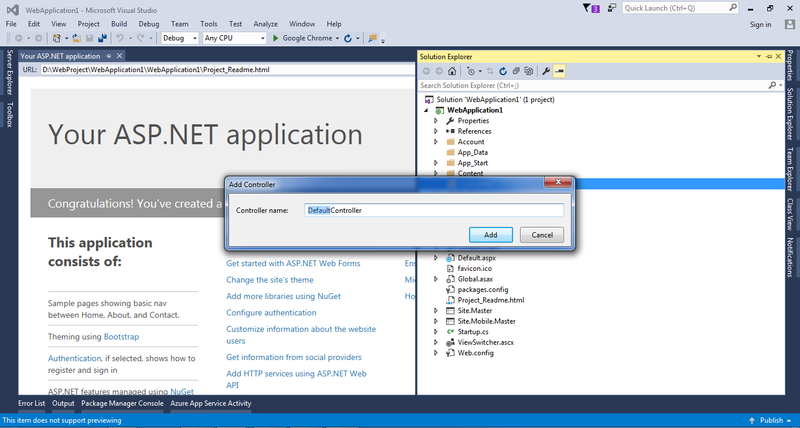 In this blog I have created ASP.Net web api using Visual Studio 2015. If you need to know what is web api then please read one of my previous blog. 1. 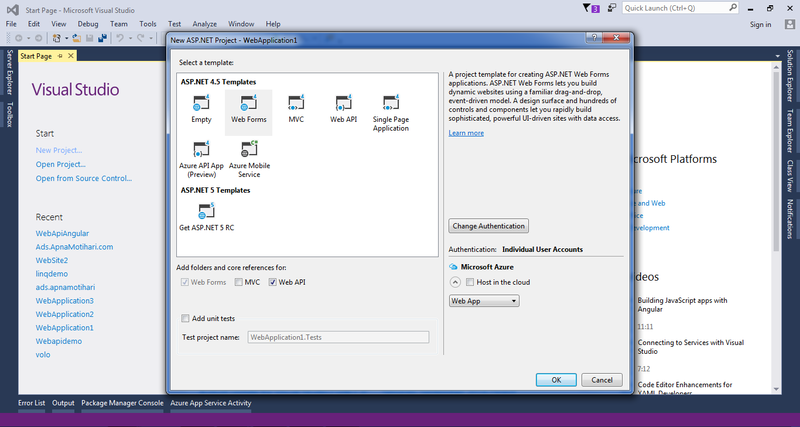 File -> New Project and Select ASP.Net Web Application as shown in below screen. 3. Now your solutions explorere will look like this. 5. 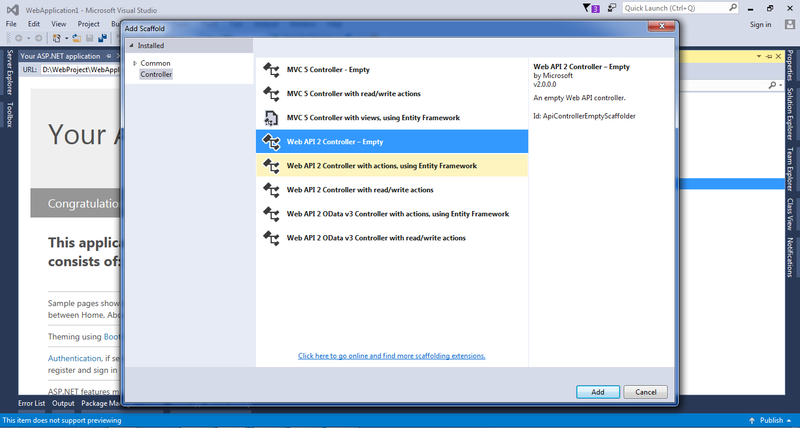 Select Empty WEB API controller. 6. Now give a name to your controller please do not remove word "Controller". For eg as per below screen shot, you may only change "Default" to your desire name. In this example I have renamed controller name to TestController. Now you have added a controller to your project, you may write your code in controller file. Now you need to define the Route for your APIs else you will get error for "multiple actions found"
You may add more as per your requirement. Please subscribe/comment if it is helpful to you. 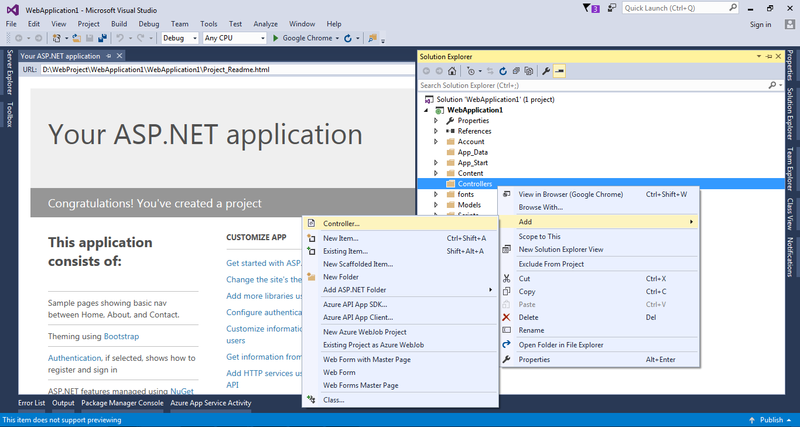 Prev Blog - What is Web API? What is Azure Cloud service? In this blog, I have collected interview questions and answers of ASP.Net Web API. CAML Query is one of the most important topics in SharePoint. CAML Query is the way for querying items from SharePoint objects like List and Library. This blog is helpful in SharePoint 2010 development as well as in SharePoint 2013 development. Introduction to Web API Web API is the Microsoft open source technology for developing REST services based on HTTP protocol. 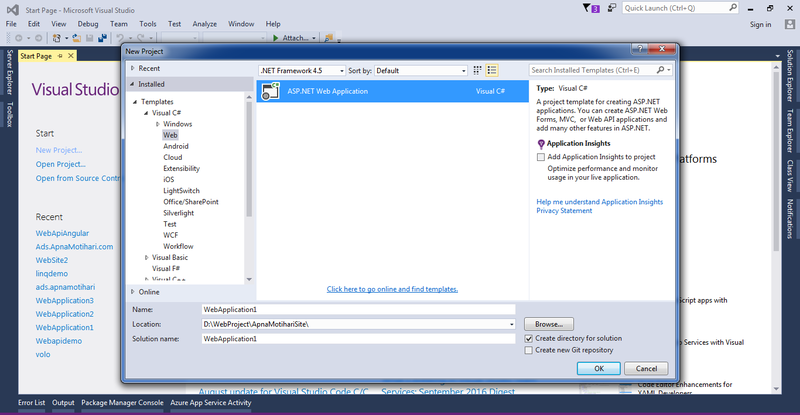 ASP.Net Web API is a framework for building, consuming HTTP based service. The advantage of Web API is that it can be consumed by a wide range of clients like a web browser and mobile applications. 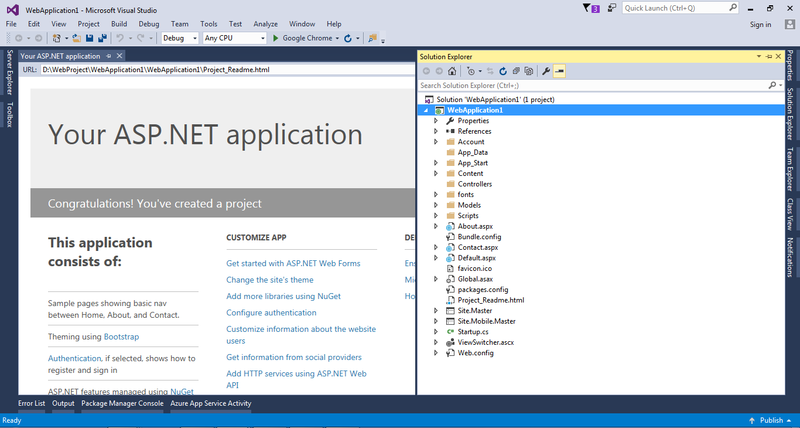 ASP.Net Web API was released with ASP.Net MVC 4. Web API can be used with MVC or normal ASP.Net forms. In this blog, we will see the implementation of basic authentication in Web API. Basic Authentication is a simple authentication mechanism where client sends requests with Authorization header with word Basic. If you are new to Microsoft Azure, then please read my earlier blog on Cloud Computing and Microsoft Azure introduction. In this blog, I will explain how to create resources in Azure Dashboard and will show you screenshots. This will be a totally new experience for me as well because I am also new to Cloud Computing and wanted to share my experience through my blog. If you are new to ASP.Net Web API then please start from the beginning level. What is ASP.Net Web API? In the previous blog, I wrote about Routing in Web API. You may also like .Net Core Introduction and MicroService Architecture. I have also explained, How to create a secure Web API? in my earlier blog. In this blog, let's discuss the Web API security in details. I was working on a project where I got a Web API URL with parameters, I was asked to consume this API and get the response from there. In this blog, I will write about "Export SharePoint list items using PowerShell Script". Before describing MicroServices we should first understand distributed technologies we already have in the industry. Prior to MicroServices, we have already Web Services, WCF Service and latest one from Microsoft i.e. ASP.Net Web API. Then Why MicroService Architecture? You may read about all these distributed technologies in details in my earlier blog. Below are few important SharePoint interview questions and their answers.